Nothing captivated listeners with 2014’s Guilty of Everything, and with its follow-up, the band triumphs over tragedy, as you may have seen in their documentary for the making of Tired of Tomorrow. And as the group gets ready to leave it all on stage across the globe, Philly’s band of nothings-turned-somethings makes a stop home to celebrate with family, friends and fans the joy and heartache that has come with their latest release. Opening the night will be instrumental avant-garde duo, Mary Lattimore & Jeff Zeigler, who are looking forward to the release of their own LP next week, which was inspired by Phillippe Garrel’s silent film Le Révélateur. 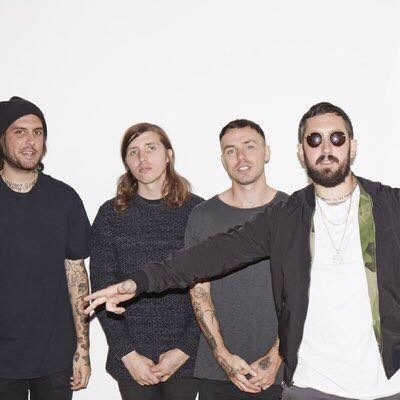 They’ll be helping Nothing wrap up the first leg of their massive tour. Also along for the support will be San Francisco Bay Area’s Culture Abuse and Toledo, OH/Detroit, MI’s Citizen. 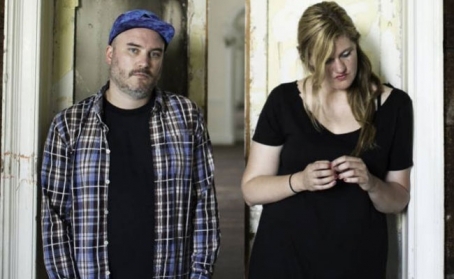 Union Transfer, 1026 Spring Garden St., 8:30pm, $15, All Ages - Alexis V.
Mary Lattimore & Jeff Zeigler have a new LP coming out, called Music Inspired by Phillippe Garrel’s Le Révélateur. It's an original soundtrack/score for the short experimental film that is meant to capture the civil unrest occurring in Paris in May, 1968, which lead to a virtual halt of the French economy. The footage was purposely left silent. The album comes out on July 22 via Thrill Jockey, and the duo, who premiered the live soundtrack, along with the movie, in February at the Getty Museum in LA and has already performed it twice in Philly, will be bringing the event to Brooklyn on Tuesday, July 26 at the Nitehawk Cinema. Check out the beautiful trailer for the collaboration below! Six years after their first collaborative release with Adult Swim, Michigan-based label Ghostly International has dropped a follow-up. Appropriately titled Ghostly Swim 2, the album is packed with thoughtful electronic textures. 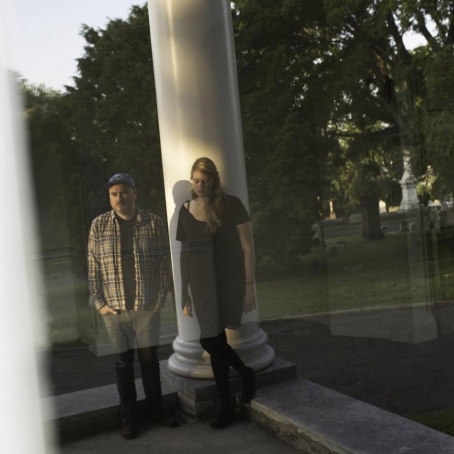 Mary Lattimore & Jeff Zeigler’s “I Only Have Eyes For You” is a delicate awakening breezily sweeping through with its sense of peaceful mind clearing. You can stream and download the track for free as well as the whole compilation HERE. Brooklyn guitar virtuoso and Landowne-born Steve Gunn still maintains deep roots here in Philly. So much so, he’ll be celebrating the release of his latest record, Way Out Weather, tonight at PhilaMOCA. Joining him on the bill is a couple of the finest acts in the City of Brotherly Love’s underground music community. The evening will have raucous start with rad garage-psych outfit Spacin’. The group is easily one of my favorite bands in town, and I can’t wait for their new album, which will be available via Richie Records, to come out. 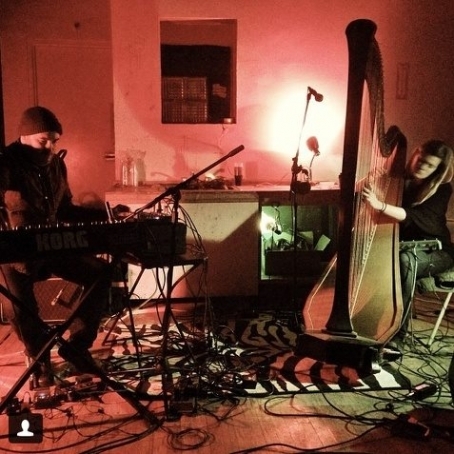 And things will a bit quieter but in the best way possible when talented combination of Mary Lattimore & Jeff Zeigler take the stage to mesmerize the audience with interstellar soundscapes. It’s going to be an eclectic evening of music, but one worth catching from start to finish. 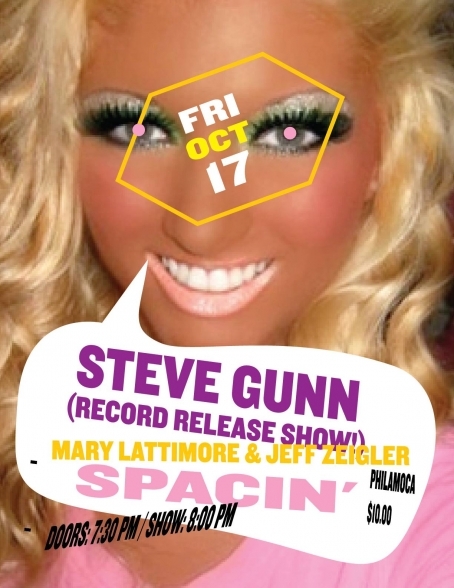 PhilaMOCA, 531 N. 12th St., 8pm, $10, All Ages - Alexis V.